When staffing shortages can not be be met by traditional means and your unfilled positions lead to revenue losses, we solve critical staffing challenges that most traditional vendors and MSPs can't. 1. Recruit, background check and drug test highly skilled personnel from our national talent pool. 2. Deliver teams of highly specialized personnel anywhere in the United States very quickly. 3. Provide workforce management for seamless integration and maximum productivity. of your company's control such as a natural disaster or civil unrest. 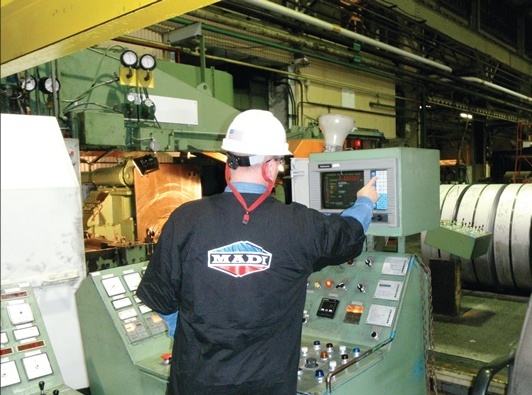 MADI supplies experienced and skilled labor for nearly every industry. Mining and Metals - Aluminum, Steel, Brass, etc. Don’t let local or regional labor shortages erode your profit. MADI can mobilize a workforce and deploy them anywhere in the country, often within a few days, depending upon the number and type of personnel, type of travel and distance, and level of urgency. To ensure seamless integration and an efficient start-up of our workforce at your facility, we assign a Project Implementation Coordinator for the first week and more if needed. MADI coordinates the transportation (driving, flying-in) of our employees in order to have our team on-site at your facilities quickly, when you need them. Not only do we take care of payroll and administration, all MADI contingent employees are covered by our Workers' Compensation, Unemployment Insurance and Liability coverage. MADI's On-Site Supervisors manage all paperwork, drug testing, on-site skill testing, as well as coordination and communication with your Management Team for the duration of the project. In the unlikely event that a MADI contingent employee does not meet your standards, MADI will replace the individual at no cost to your company. Speak to our High-Performance Contingency Staffing experts today! You get the individualized staffing solution that will meet your project-specific needs. MADI conducts extensive national recruiting of skilled labor. Our employment screening process includes thorough in-house background investigations and drug testing. We fully vet and process qualified personnel faster than traditional solutions. Qualified candidates can be deployed to single or multiple client sites, usually within days, regardless of location. When this manufacturing business faced a shortage of highly skilled welders they were both anxious and quite skeptical that personnel at the skill level they required could be quickly brought in to build its specialized products to the strict specifications required. Company initially ordered a small complement of welders to see if their needs could be met. 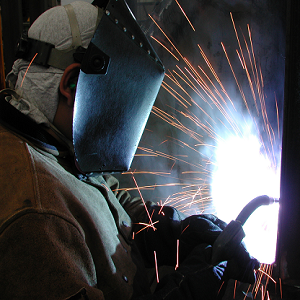 Not only did the welders pass the weld tests, they were able to achieve production targets almost immediately, resulting in the client ordering the full complement of welders and assembly personnel for well over one year and actually reducing costs of labor through an optimized shift structure which has been adopted company wide.